FFonts is a free font website that has a large amount of free fonts but also some spam you'll need to refuse during the download process. FFonts doesn't say exactly how many free fonts they have but one glance at the numbers by the categories tells you that it's quite a bit. Speaking of categories, FFonts excels in its breakdown of font categories. 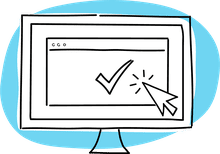 Simply scroll down the page and look at the categories on the left-hand side of the page to find a ton of different categories such as broken fonts, cars fonts, crazy fonts, Hindi fonts, outline fonts, horror fonts, wild fonts, wood fonts, and many, many more. 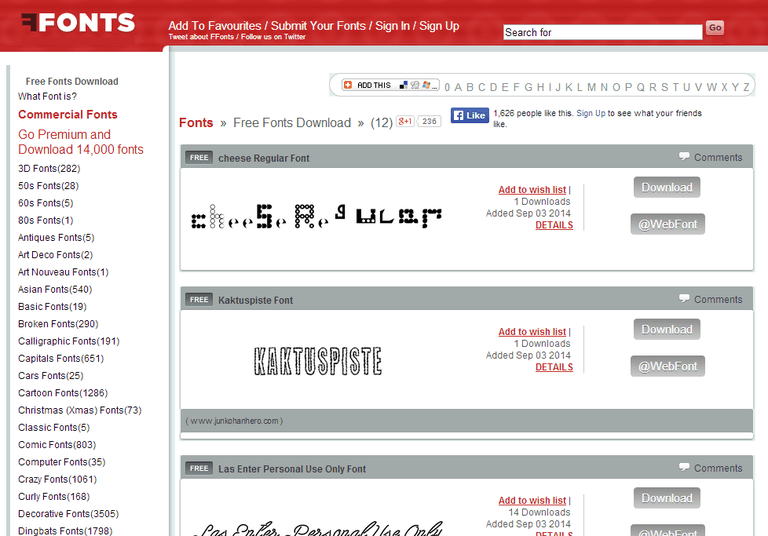 You can also browse the free fonts at FFonts by viewing them alphabetically or searching for a specific font. When you click on a font you like at FFonts, you'll be taken to a preview page where you can view all the characters that carry the font. Here's where you can type in a pretty lengthy string of text to see a preview of what it will look like in the new font. Overall, FFonts doesn't have the best font preview but it does get the job done. The free fonts at FFonts are downloaded as EXE files that when ran will place a ZIP file on your computer. This is really an unnecessary step that they've only done to put spam on your computer. Make sure that you choose custom installation so you can uncheck all the boxes so you don't get any extra junk added to your computer. If you do this you'll simply get the font files but it's too bad that you have to go through the extra trouble to do so. However, on some download pages, there is an alternate link to get the ZIP file without having to download the EXE file. If you see such an option, you should choose it over the EXE one. Once you've gotten the ZIP file, be sure to unzip the files and then install the font on your computer.